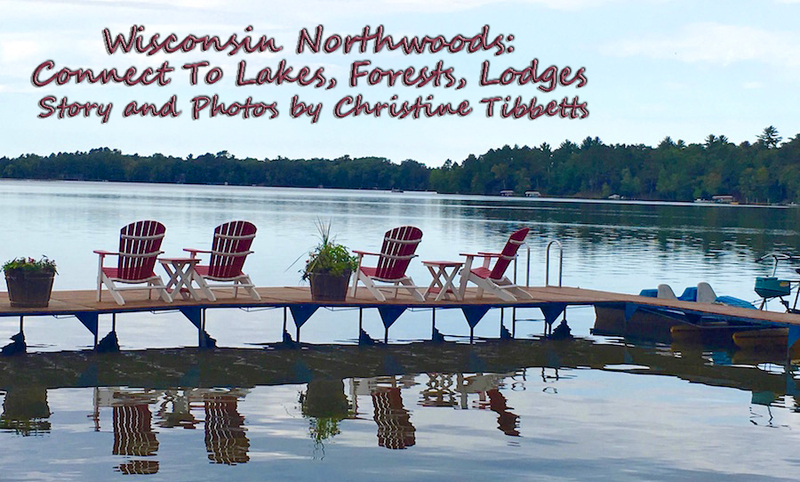 Woods are everywhere in the Wisconsin Northwoods with lakes chained together in intriguing, accessible ways. Figuring out how to fully experience both calls for immersing in the charms of a dozen hospitable communities. 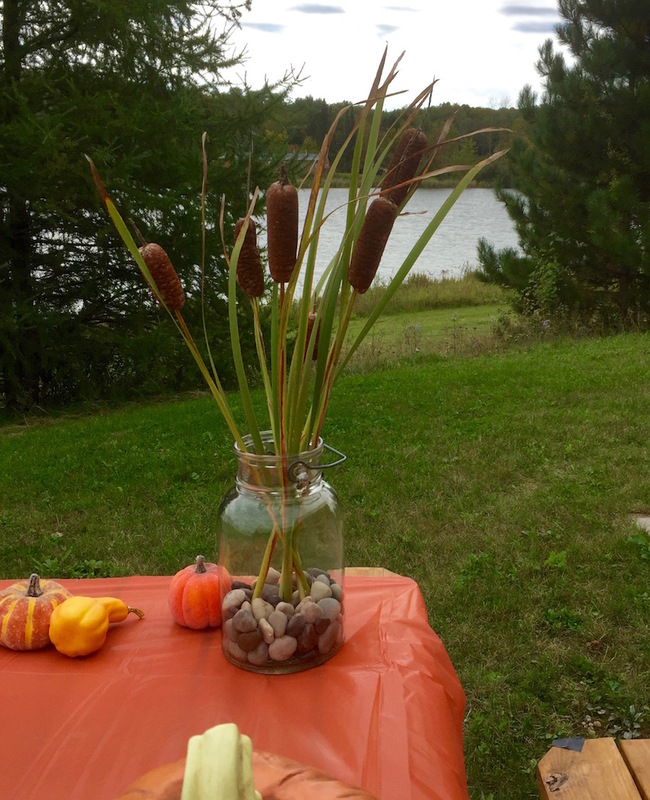 Water dominated my autumn activities, as did the woods, when I chose a leaf-peeping visit. Year-round clearly works too with seasonal-only options. Those chains of lakes are no quick paddle -- this county named Vilas counts 1,300 of them. Studying the map is a puzzle of watery links and connections: good brain exercise to plan a vacation. Native Americans and trappers knew how to glide lake to lake. I recommend hiring a guide for your fishing excursion. Great big muskies are the goal, and tough to hook. 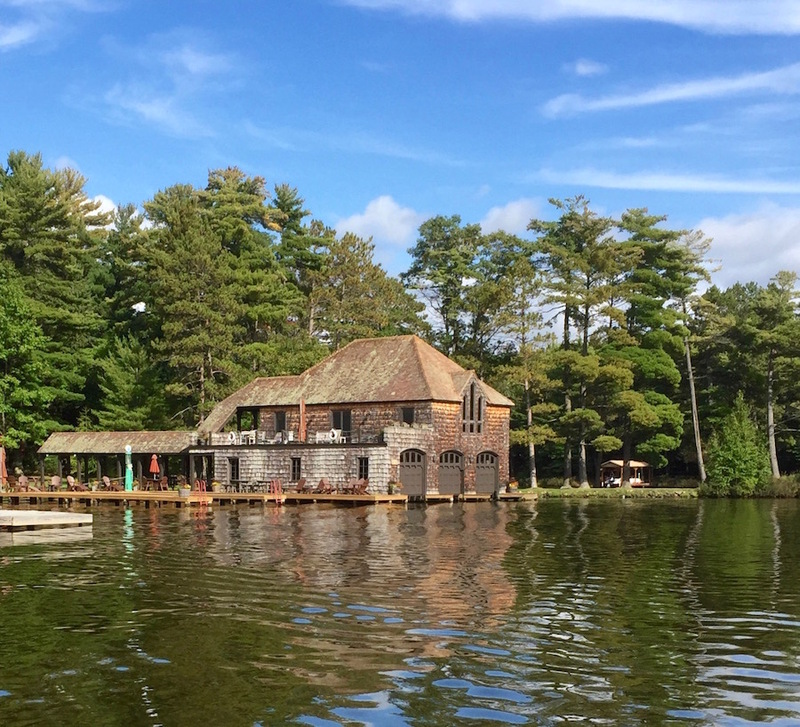 Historic boathouses illustrate stories of life along Wisconsin's chains of lakes. I went in search of old boathouses instead. Found 50. Friday afternoon boathouse tours launch in the county seat named Eagle River. Per person $20. Spirited commentary. Add in lunches for $10 per person. Boathouses suggest stories of the people living along these chains of lakes, and they're architectural history. New boathouses look more like storage sites: industrial, efficient but not grand. This is a history tour, with three to four hours to relax on the water. Consider it Northwoods Wisconsin immersion. 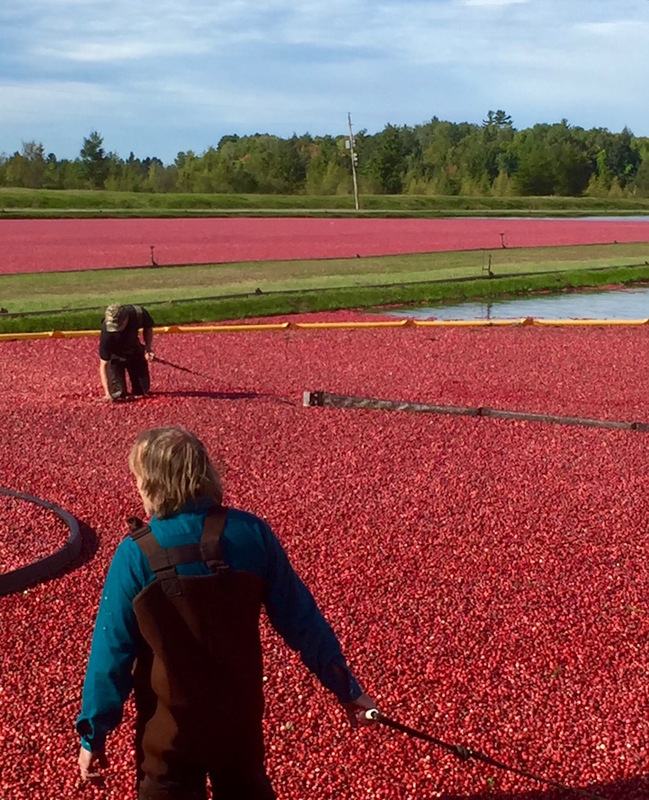 Cranberry harvests call for early autumn travel to Wisconsin's Northwoods. Cranberry harvest happens in early fall – an exceptional reason to visit with the early leaves. Workers labor in waist-deep water, and don't mind travelers like me gawking from the edge. They look strong. In Wisconsin this is called a marsh. "Out East" growers call the same system a bog. Fascinating this process of dikes and sunken planting beds. Tours happen at the Vilas County Cranberry Farm on Fridays after the Fourth of July, with harvests mid-September through mid-October. The front porch of the shop has a five-minute continuous loop documentary detailing the entire process. I'd recommend watching with or without a tour. I used to think of Maine as a berry state but Wisconsin claims largest-producer status for cranberries. Families helping one another launched that effort in 1946. Woods are everywhere in Vilas County. Residents have favorite trails within those 16 million acres throughout the state. The forests are mosaics, a patchwork across the landscape. That became clear to me driving north from the Green Bay airport. A winter trip should include snowshoe and snowmobile trails because they're groomed, locally loved, and often connect from tavern to tavern. 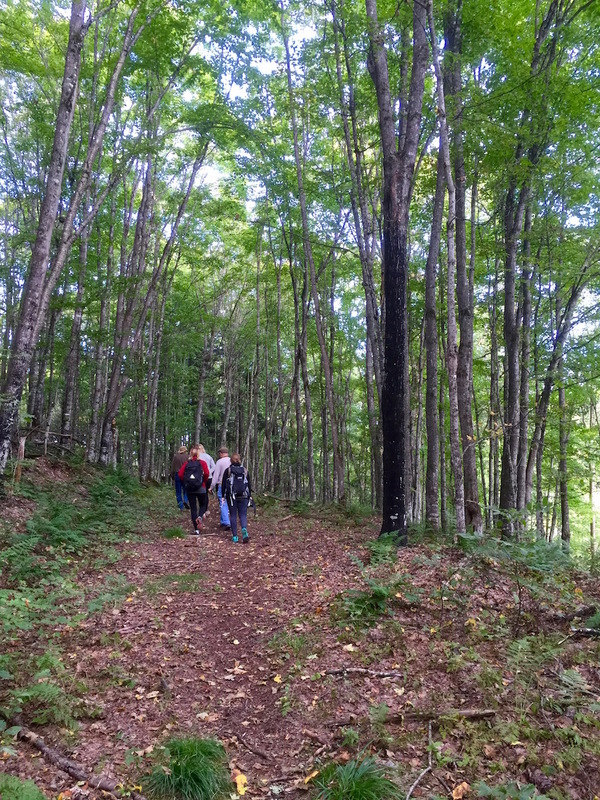 For spring, summer and autumn hiking, I know three good ones. Hundreds more exist. 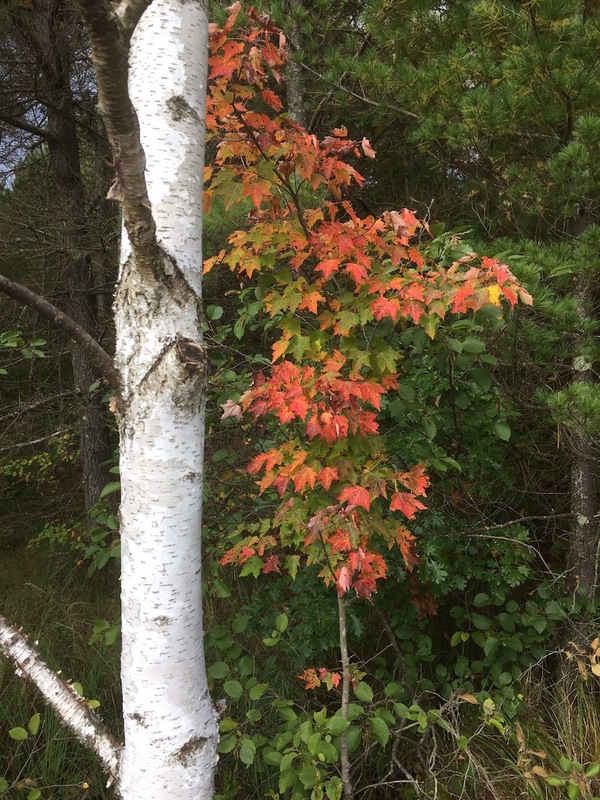 White birch trees and their colorful autumn partners abound at Discovery Center. DISCOVERY CENTER Twelve miles of trails wind throughout this dynamic citizen science nature center. Do head to the boardwalk over a lush bog, and engage in the interpretive nature walk with 17 stations. Two naturalists are on staff full time and with advance planning, travelers can find guided hikes and seminars. I peeked in the modest bunk bed cabins from the 1960s when this was a Youth Conservation Corp facility, and in the luxury rental home. Stay awhile. Special events at Discovery Center include wolf howling and butterfly tagging. Diversity through opposites I thought. Sandhill crane counts, bird banding, sugar maple tree tapping and much more happens here. Citizen scientist stations intrigued me as I wandered, nine platforms connect to scientists at the University of New Hampshire and I entered real time data. Setting my camera on a small platform to send time-lapse photos, I could add to the data on tree growth, shoreline changes, native plant growth. Everybody has the chance. VAN VLIET HEMLOCKS In Georgia where I live, hemlocks struggle and die. Finding a forest full of them with eight clearly defined trails in Wisconsin delivered joy to me. 416 acres to be precise and five miles of trails. 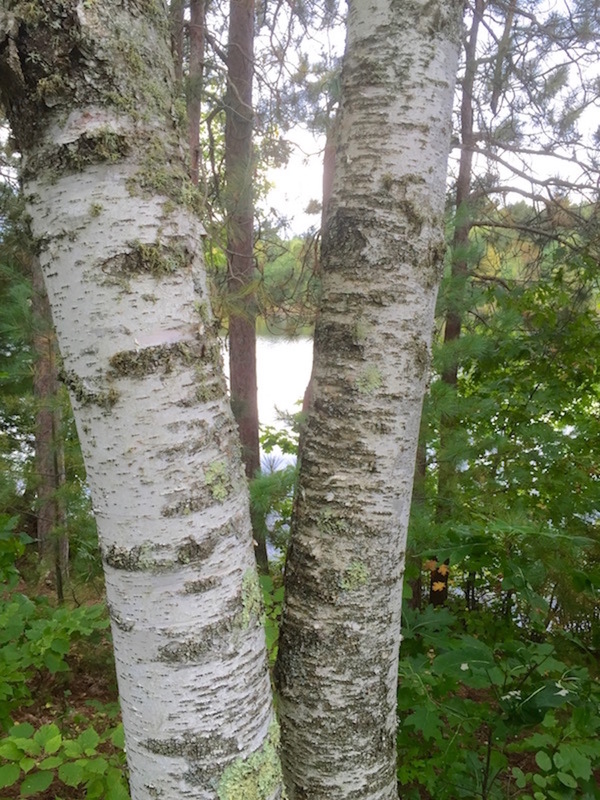 Sugar maple, basswood and yellow birch trees grow here, and chimney swifts love to make homes in the yellow birches. Kindly trees they are, creating space for the little birds by rotting from the inside out. 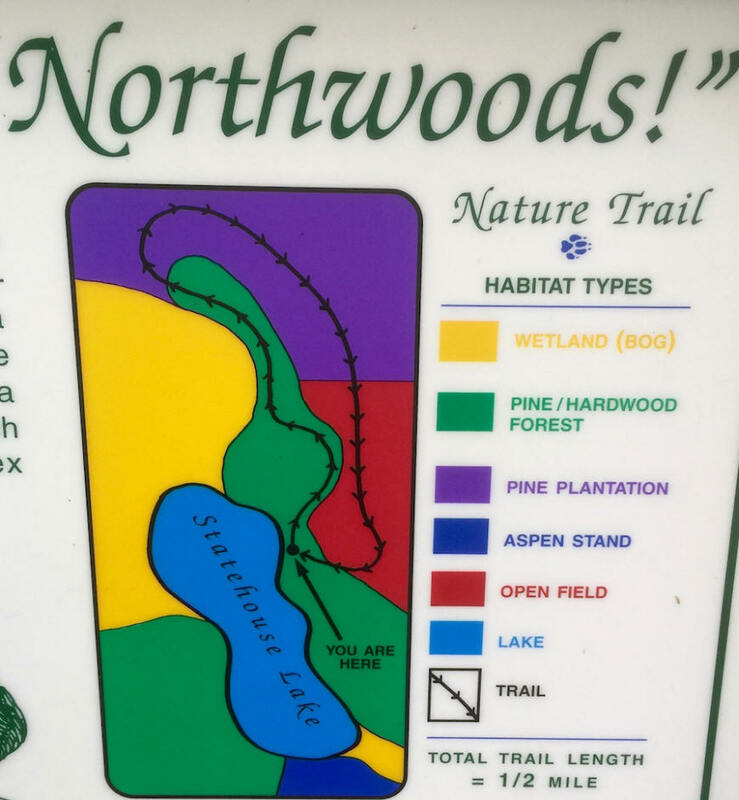 Technology intersects with nature in these woods with a phone app connecting with Google Earth. It didn't help with my feeble attempts at pishing to call the local birds. Never knew until ambling along on well-groomed trails that hemlock trees fueled the leather industry: all the bark of one tree needed to tan one hide. This forest fed tanneries in Milwaukee up to World War I. Now I think differently about my leather shoes and purses. I walked on ridges too, and learned the word esker: a long, winding ridge between two valleys. Considering glacier action 10,000 years ago helped me notice those deep valleys and the signs of an old growth forest. See if there's a chance to hire a guide by calling the Presque Isle Chamber of Commerce, or go it alone. Trails are clearly marked in a brochure, with blazes on the trees and signage at every intersection. Presque Isle provides serene, easy-strolling walks around the lake – good choice for strollers and rollers. PRESQUE ISLE LAKE This is a quiet choice, easy with little kids and with wheelchairs, scooters and strollers. The trail around the lake is handicap accessible, picnic tables invite lingering for lunch and the food truck named Consumption Jct. International East might be serving signature soups, salads and wraps. Lodging options feel vast and diverse in these Wisconsin Northwoods; maybe that's why I moved around every night. Tales told by third generation proprietors on the edge of chains of lakes or their bays enriched each experience. This lodge is really lakefront cottages, and the sandy beach supported yoga classes my afternoon checking it out. Stand-up paddleboards are free to borrow, and so are canoes and kayaks, a hydro bike, conventional bicycles and rowboats for fishing. Pine logs formed the furniture in my second floor room, balcony overlooking, of course, a forest. Typical of Vilas County, this Lodge has outdoor seating in the yards and gardens, and easy access to a trail to hike and bike. Breakfast is help yourself, with more than carbs. Unusual feature: spa and hair salon on the property, boutique shops just across the street. 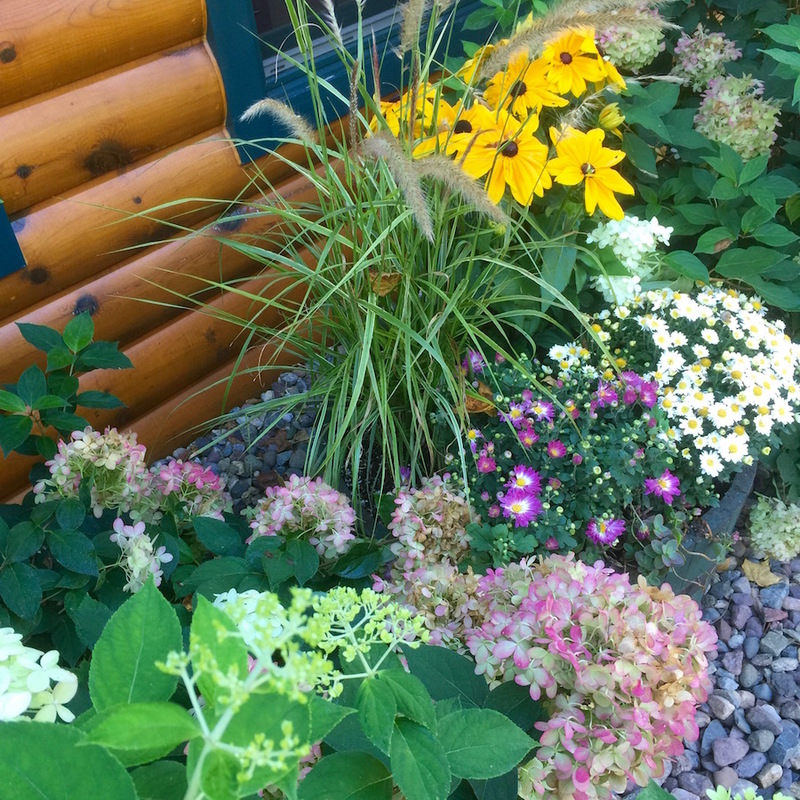 Flowers, walking paths and gracious seating areas always accompany Vilas County lodging sites. "Everybody has a crazy Aunt Mable but I chose to celebrate her" says Ruth Gardner, proprietor of a 10-cottage lodge in her family for 106 years. Expect grandma's china in the formal dining room, and outlandish tales like the one about her mother being born on the train tracks. Six suites are available in the main lodge, with a massive moose head over the fireplace. "Grandfather shot that when he was 18." Sunrises, sunsets and starry skies inspire the family owners in this 18-unit resort, and that's been true since 1942 says Sue Malmgren Altshwager who's the current generation in charge now with her husband John. "Solitude, peace, quiet abound," she says. So do easy opportunities to kayak, standup paddleboard, fish and engage with creatures roaming the woods. 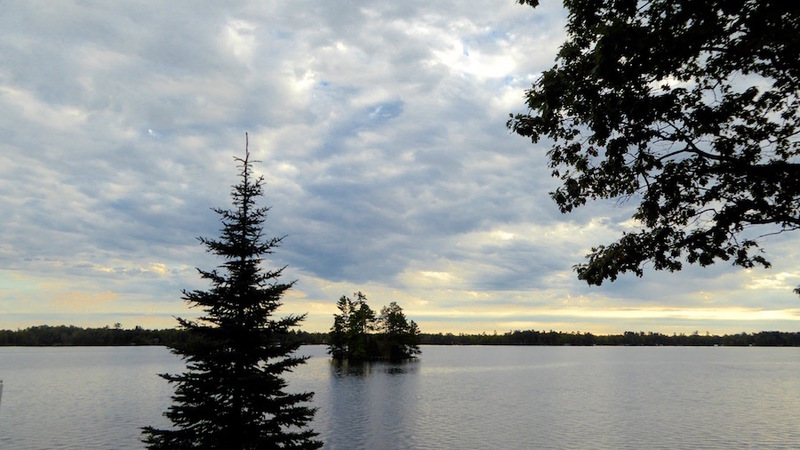 White Birch Village Resort offer serene lake gazing as well as abundant water and woods activities. Focus on the tiny town of St. Germain for supper club history and pleasure. This is not about isolated dining, texting friends from a high-backed booth. Supper clubbers start at the bar and animated conversation looked to me like the reason. Food happens later, abundantly. You might consider comfy shoes since chatty groups are more likely to stand than sit. As a traveler, I like meeting local folks. Supper clubs made that easy -- quick to tell you this town is the center of the supper club universe. 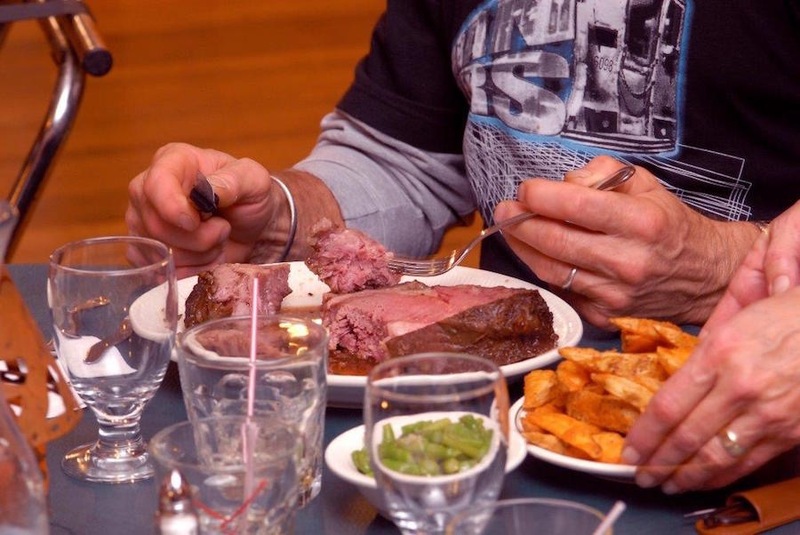 Portions are ample in the Wisconsin Northwoods supper clubs, and so is convivial conversation. Appreciate the owner asking you about the family when you arrive---tradition, not prying. Prime your taste buds for celery because it's always on the relish tray served right away. Hang out at the bar as long as you like because you can place your dinner order there and go to the table only when food's ready. Supper club food should be a steak but liver and onions are popular too, or fish on Fridays. Walleye is a local catch. Salad? Sure. With cinnamon rolls or sticky buns, piping hot from the oven. Seemed to me this supper club combination of flavors defined the enduring 50-year tradition. Ice cream heads the dessert list and the favorite is liquor spiked, intended to sip not spoon. Supper clubs might look a bit like sports bars except the TVs are not turned on unless the Badgers, Brewers or Packers are playing.